This has been our favorite so far. This was a solid coffee, but overall unimpressive. I felt the roast was actually a bit darker than we usually want, and it was a bit earthy in flavor for my test. I did not get any caramel notes. Brewed as espresso for lattes, this was my favorite so far. Subtlety sweet with smooth espresso flavor. Was hard to get the grind right. Was an ok coffee, but did not wow me. Fantastic! Perhaps the most chocolatey-smelling coffee I have ever had. There’s coffee was very flavorful, and smooth. I like it. It's not quite as good as the Kickapoo that I ordered at the beginning of my subscription (my favorite so far), but it's pretty good. I'd probably get it again. Really nice. Tasted rich and almost creamy, not at all bitter. Perfect for holiday relaxation. 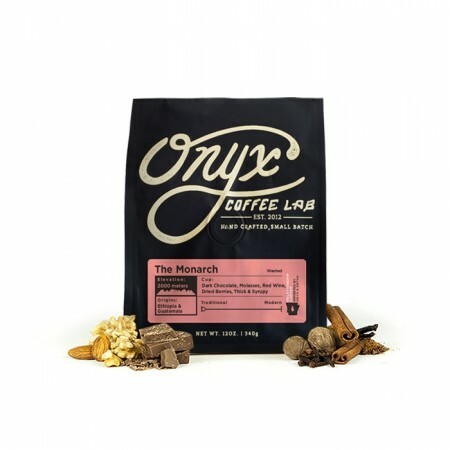 Definitely rich and chocolate notes, produces a brighter cup with a good touch of acidity. Excellent sweet and rich flavor. Loved this one! The more I am learning about coffee, this has become my favorite. The smell is wonderful, but I think I like a little lighter roast. On the far end of the traditional scale. Syrupy, thick, and chocolaty. No bright, tangy, fruity notes. Solid blend, but tastes more like second than third wave coffee. I liked this one a lot and could definitely taste cacao and caramel. I also liked the very rich flavor this had, but would be interested in trying something just a bit stronger. Best coffee I've ever had. Plain and simple. Good as straight espresso, but slightly unbalanced with a limey aftertaste. Mixed with milk, I find the aftertaste slightly off putting. Pretty good bean though, otherwise. This taste burnt. Not great. A well-balanced, full-bodied coffee. A nice change of pace from the light Ethiopian varieties we've been drinking. This was one of my favorite coffees I've recieved in awhile. The sweet taste of the Ethiopian beans cut through the chocolate without tasting acidic or upsetting the balance of the blend. MEH. 2 STARS BECAUSE OF THE PRICE. ITS NOT THAT BAD BUT FOR THE MONEY IT SHOULD BE AMAZING. So far this has been our favorite. Good balance of flavor and body, but could have used a little more chewy nuttiness perhaps. A darn good cup though! Nice, a little more subtle than I would have thought from the tasting notes. But tasty. I thought it was pretty good, but maybe a little too acidic. This may be my fault, though. Not bad, darker than I had imagined. Finally brewed this one right this morning! Smooth, slightly chocolatey, but no overt flavors. Good full mouthfeel. Flavorful and lighter colored roast, yet still a strong coffee. Good but a bit too dark for me. pretty good flavor here, maybe a little light for my taste. overall better than a lot of beans i have tried. i believe i liked the boldness, but it has a bit of a sour taste the end that I've come to find in most lighter coffee, perhaps it is the slight caramel flavor. its not too heavy which i like but leaves a little bit of an undesirable smokey taste at the end. Absolutely loved this coffee. I tend to be biased towards sweeter notes but this one struck a good balance for me. Not too sweet, not to acidic. Very well rounded. Great coffee. Just didn’t knock my socks off. Aroma and taste as advertised. Very satisfying. We aren't extremely refined in our palates but this was far too bitter. I ended up taking it to work for others because we didn't enjoy it. The guy in the office who drinks two day old microwaved coffee also found it too bitter! However the Ozark Copper Espresso roast was very smooth and rather addicting so don't write this roaster off if you too aren't a fan. Duly noted that "this blend pairs great with cream or milk." I found this coffee to be a little too harsh and bitter, and had a hard time getting through it!